The Mountaineers is home to world-class staff supporting a thriving community of outdoor recreationists and conservationists. Meet our staff and view our employment opportunities to join the team. As Chief Executive Officer, Tom oversees the Seattle Program Division, the Publishing Division, Tacoma facility staff, and Olympia youth staff while reporting to the Board President to work in concert with the Board of Directors. Background: Tom joins The Mountaineers with more than 20 years of general management, marketing expertise, and capacity building experience with a variety of organizations, including REI, The Clymb, Redfin, and Dell. 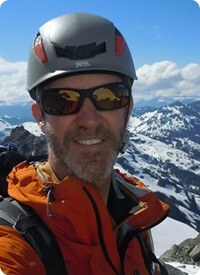 A graduate of Harvard Business School, Vogl brings extensive experience in the outdoor industry, including six years as senior vice president for marketing at REI from 2006 to 2012. In the four years prior to joining The Mountaineers staff, he worked as Chief Marketing Officer and Chief Operating Officer in Seattle’s start-up community. His expertise has also impacted several nonprofit organizations. He has served on the board of directors of The REI Foundation, and the Chief Seattle Council of Boy Scouts of America as well as a committee of the National Parks Advisory Board. 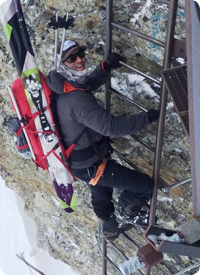 A passionate climber, backcountry skier and outdoor adventurer, he has explored many wilderness areas of the Pacific Northwest since moving to Seattle with his family in 2006. Core Responsibilities: Provides leadership, direction, and support for The Mountaineers staff. Works with the Board of Directors to support the strategic vision, operational plans, and resourcing to execute the mission with a high degree of integrity and fiscal responsibility. Represents The Mountaineers with external stakeholders such as financial supporters, partner organizations, legislators, and public land managers. Ensures that the needs of members and the broader outdoor community are well-understood and Mountaineers programs deliver optimal impact. More from Tom: To me, adventure is all about the excitement of discovery. It’s going to a new place, meeting different people along the way, challenging yourself to try new activities, or nurturing lifelong passions. Living in the Northwest since 2006 and raising a family here has opened up a whole new world of adventures to me. I’m constantly struck by how fortunate we are to live in such a great place. As the Event and Facility Manager, Garrett works to coordinate and promote Mountaineer events - such as BeWild, Banff Film Festival, and MountainFilm Festival - and manage the Seattle Program Center facilities. Background: Hailing from North Idaho, Garrett has held a variety of roles spanning the outdoor industry, education, and the tech world. Garrett received his Bachelors in Biology from the University of Florida and worked as a research assistant for two summers on the north slope of the Brooks Range in Alaska. Additionally, he's worked as a graduate student and ecology teacher in South Africa interned at the Wilderness Society in Washington D.C. and worked as an outdoor guide and community specialist in New York City. Since arriving in Seattle in the summer of 2015, he could not be more excited to live, work and play in the mountains of the Pacific Northwest. Core Responsibilities: Manages room rentals for the Seattle Program Center and coordinates sponsored events (film festivals, speaker series). Supports The Mountaineers community through events, reserving Seattle Program Center space for courses and activities, and optimizes the spaces by renting space to outside organizations. Manages the Facility Manager and Facilities Assistant; Reports to the Operations Director. More: In his free time, Garrett frequently serves as a volunteer with the Washington Trails Association trail maintenance crews. He’s a certified wilderness first responder, Mountaineers intermediate alpine student, and he loves finding his Zen while baking fresh bread. Background: Chad joins The Mountaineers with over 20 years of customer service and training experience. 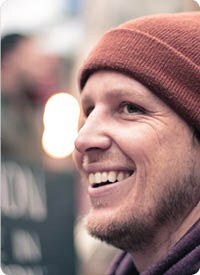 He has previously worked with environmentally focused organizations, focusing on educating the public on critical issues and engaging them to take action. It’s his passion for the environment and engaging communities that led him to The Mountaineers. Chad holds a B.A. in Environmental Studies with a focus on human and environmental interactions from the University of Washington and is currently pursuing a Master of Communication in Communities and Networks. Core Responsibilities: Serves as primary contact point for new volunteers, answers inquiries and connects volunteers to meaningful roles. Supports volunteer recognition plan. Contributes to ongoing volunteer recognition via blog and social media posts. Supports the Seattle Climbing Committee in a number administrative roles. Reports to Director of Education. Outdoor Activities: Alpine and Nordic skiing, hiking, camping, snowshoeing, soccer, tennis, kayaking. More: At the age of 10, I refused to move into a brand new house because I was upset about the multitude of trees that had been cleared for construction. It was my first attempt to stand up for the environment, and wouldn’t be my last. My parents shouldn’t have been surprised, after all it was because of our annual 2 week long camping treks that fostered my love of the outdoors. Those treks made me realize at a young age how important it is to protect and conserve our resources and natural areas. I’m excited to work for an organization like The Mountaineers that has a long history and a serious passion for getting people onto the mountain and protecting our natural wonders for generations to come. Background: Originally from North Carolina, Andy migrated west 10 years ago after completing a Masters in Education at Appalachian State University. 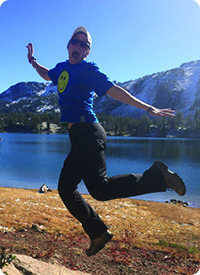 He took a job as a University Relations Officer at NOLS, originally planning to stay out west for only a few years. However, the snow-capped peaks, clear streams and wildflowers eventually won him over and he forgot to leave. Over those 10 years, Andy worked as a field instructor at NOLS, installed solar-panels, drove a vegetable-oil-powered bus, and coordinated a university adventure program. Core Responsibilities: Responsible for oversight of all Mountaineers Youth Education Programs in Seattle, Everett, Kitsap, and Olympia, including Mountain Workshop Outreach Programs, Mountaineers Adventure Club, Explorers, Pioneers, Gateway Programs, and Summer Camp. Oversees three Associate Youth Managers in Seattle along with the Youth Coordinator in Olympia. Reports to Education Director. Outdoor Activities: Rock climbing, trail running, bike packing and skiing. More: Andy was initially drawn to the simplicity of outdoor life and the transferable of skills learned outside. He is excited to work with the next generation of outdoor adventurers of the PNW, helping them to foster an innate sense of wonder and an appreciation of wild spaces. Andy also plays the ukulele, brews his own beer, and bakes a mean loaf of sourdough. As the Volunteer Collaborations Manager, Nick supports organization-wide, volunteer-led initiatives. He will help these initiatives succeed supporting and empowering volunteers to provide excellent educational experiences. He works with volunteer leaders to support all activity groups, with a focus on the Progressive Climbing Education (PCE) committees. He helps volunteers facilitate activity summits and assists those groups by moving action items forward towards completion. Background: Nick joins The Mountaineers staff team with experience in relationship-management, design and marketing. He has worked in financial services, where he honed communication skills. He worked in user-experience design, with an eye for details and creative problem-solving. Before coming to The Mountaineers, he worked in the outdoor industry in marketing strategy and web design. Nick is thrilled to be working for an organization that is passionate about inspiring people to get outside, protecting our natural resources and wild spaces, and providing quality outdoor education for all. Nick holds a Bachelor’s degree in Business and Technology Management from the Pennsylvania College of Technology. Core Responsibilities: Support of PCE Climbing committees, activity summits, and other volunteer leadership committees. Works closely with Volunteer Development Manager on volunteer engagement and leadership development. Works with the education department to achieve high-level organizational goals. Reports to the Education Director. More: Nick’s love of the outdoors was born from a childhood in Alaska, where he explored the vastness of the Last Frontier on backpacking, hiking, and fishing trips. He left Alaska for school and moved to the east coast, leaving his family and friends 3000 miles away to explore a new world of concrete and hustle and bustle. It didn’t take long for him to realize that mountains, rivers, and wild places were where he needed to be . He moved west after completing his degree and has lived in Idaho, Oregon, and Washington. 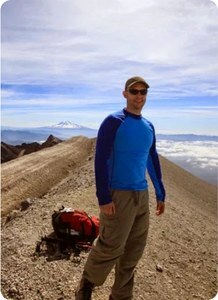 Nick climbed Rainier in 2012 with a guide service and caught the climbing bug. He has been gaining skills ever since. He joined The Mountaineers as a student in 2015 and took the Intense Basic Alpine Climbing course in Seattle. He is a climb leader and intermediate graduate. In 2018, Nick was the chair of the Intense Basic program. He is ecstatic about joining the staff team and is looking forward to helping the organization continue to grow and improve. Jeff keeps his fingers in a lot of pies at The Mountaineers. He has served on staff since February 2000 and been a member since May 1994. A "jack of all trades," he is currently working as the IT (Information Technology) Manager and Bookstore Manager, and helps our Member Services Team. Core Responsibilities: Manages local area networks and computers at our Program Centers and Books offices and warehouse. Oversees website support and project management and Salesforce support, report and dashboard development, email automation, and project management. Manages the Seattle Program Center Bookstore, including purchasing and sales. Manages IT contractors: Jazkarta, Percolator Consulting, Cheyette & Associates, and Interface Technologies Northwest. Reports to Director of Operations. Background: Jeff’s undergraduate alma mater is West Virginia University - whose mascot moniker is also The Mountaineers (it's also his parents’ alma mater). Jeff was born and raised in West Virginia, so he’s been a “Mountaineer” all his life. He obtained BS and MS degrees in chemical engineering and worked five years for DuPont. At the University of Washington, he spent a lot of time writing FORTRAN code, so he’s very happy with his new IT responsibilities. He has completed several courses with The Mountaineers, has been leading climbs since 1998, and reached the summit of Denali in 2003. 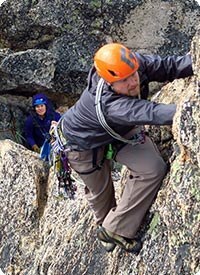 Over the years, Jeff has taught, helped design, or revise nearly all of the climbing courses we offer. He’s currently teaching Intermediate Rescue Methods, the Climbing Self-Rescue Course, the Denali Expedition Planning Seminar, and Aid & Big Wall Climbing Course. He served as illustrations coordinator for the 7th and 8th editions of Mountaineering: The Freedom of the Hills, and helped with the 9th edition. Outdoor Activities: Climbing, skiing, hiking, backpacking, and biking. More: There’s life outside of The Mountaineers? Well, maybe a little...says Jeff. 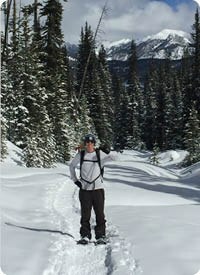 In winter, Jeff teaches skiing for Clancey's Ski School at the Stevens Pass Ski Resort. When time permits, Jeff enjoys cooking, mostly Italian and fruit desserts like cobblers, crisps, buckles and pies! Being the bookstore manager also keeps Jeff busy reading, mostly in his spare time and even on a Kindle. His favorite quote is "brevity is the soul of wit" Hamlet Act 2, Scene 2. Jeff’s favorite climb is Mount Logan: "all-in-all the most spectacularly enjoyable alpine climb done with some great friends!" His favorite ski descent: "anything as long as the snow is good!" Core Responsibilities: Part of the facilities team, Tim reports to the Facility Rental and Events Manager, and coordinates with the Facilities Assistant. As Facilities Manager, Tim oversees the physical operation of The Mountaineers Seattle Program Center and grounds: electrical systems, sound systems, security systems (keeper of keys and codes), safety measures, HVAC, fire protection, ongoing maintenance and required inspections (fire, security, climbing walls, elevator), landscaping, and building cleaning. He also manages events in support of clients who rent space, in order for them to present their functions smoothly, effectively, and professionally. He enjoys keeping the Program Center running smoothly and looking its best so The Mountaineers staff, volunteers and visitors have a beautiful place to gather, play and work. Background: Tim joined the Mountaineers in September of 2015 taking the reins from the beloved Vito Dumo, who served the Seattle Program Center for 35 years. Throughout the past 30 years, Tim has worked in theater, catering ,and facilities management. He originally hails from Iowa, and attended the University of Iowa in the 80's, where he learned basic rock climbing with the Iowa Mountaineers under the guidance of Jim Ebert. After moving to Seattle in 1994, Tim became a catering lead for various caterers throughout Seattle (he sets a mean buffet!). In 2003 he joined the massage world and spent almost 12 years as the facilities manager for the Brian Utting School of Massage, which later became Cortiva Institute. He was responsible for supporting two campuses which included management of student helpers, maintaining a master calendar of classes & events, space planning & feng shui, student supply ordering, repairing equipment, directing campus moves, helping plan renovations, and liaison for janitorial/vendors/building managers. Outdoor Activities: Hiking, golfing, mushroom hunting, bicycling, walking. More: Tim has traveled throughout the UK, Europe, Malaysia and Australia. He taught English to adults and children in Korea, Czechoslovakia (before the split with Slovakia) and Japanese learners in Seattle. He is also trained in acupuncture, shiatsu, qigong, and tai chi. As the e-Learning Course Developer, Dilek creates online courses based on The Mountaineers rich history of outdoor learning opportunities. Core Responsibilities: Leads design and development of eLearning courses. Develops and implements plans in continued development of The Mountaineer’s vision of maximizing eLearning. Creates course content such as illustrations, animations, interactivities, audio and videos. Collaborates with Education Managers, Subject Matter Experts and volunteers. Provides technical support for The Mountaineers learning management system. Reports to the Education Director. 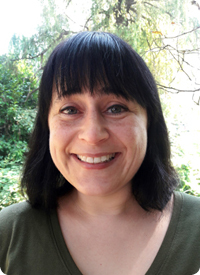 Background: Dilek brings a wide range of experience in e-Learning course development – everything from Aircraft eEnablement Systems at Boeing to emergency response training for King County EMS. She’s excited to partner with our volunteers to develop content and design course modules. 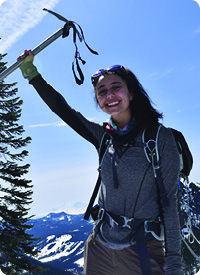 Dilek is enthusiastic about learning outdoor skills and getting outside more, which is what drew her to The Mountaineers. Outdoor Activities: Snowshoeing, hiking, and looking forward to exploring more of what the Pacific Northwest has to offer. More: Dilek is an artist in her spare time and likes photography, drawing, and making toys. As the Development Director, Amber is responsible for overseeing all aspects of the development program, which raises significant philanthropic support for the programming and publishing efforts of The Mountaineers and Mountaineers Books. She works collaboratively with donors, members, volunteers, foundations, and corporations to advance The Mountaineers’ ambitious outdoor education, youth and family programming, and conservation goals. She inspires our community to give to help The Mountaineers transform lives and protect our wild places for generations to come. Core Responsibilities: Overall development program oversight, major gift cultivation and solicitation, planned giving program management, staff liaison to Development Committee, Development communications oversite (annual report, mailed campaigns), special event lead and oversight of corporate and foundation relations. Manages Donor Events Manager, Donor Relations Manager, and Corporate and Foundations Relations Manager. Member of The Mountaineers Leadership Team. Reports to the CEO. Background: Amber joined The Mountaineers with eight years of experience in nonprofit fundraising and special event management. She previously served as the Development and Communications Manager at Outdoor Outreach in San Diego, a nonprofit that provides transformative outdoor adventure experiences to disadvantaged teens in San Diego. With several years of experience in partnering with the greater outdoor community in support of nonprofits, Amber is excited to join The Mountaineers and empower more people to explore and defend our wild places. Outdoor Activities: Hiking, snowshoeing, backpacking, bouldering, camping of all sorts. Currently enrolled in The Mountaineers’ navigation, compressed scrambling, and intense basic climbing courses. As the Membership and Communications Director, Kristina is responsible for energizing and engaging with The Mountaineers community to grow membership and our coalition of volunteers. 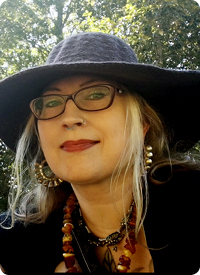 She works collaboratively with members and volunteers to organize events and provide resources and materials for membership development and enhancement. She oversees brand marketing and communications, including moderation of social media, content development for the website, and curation of all outbound communications, to provide clear communication and greater marketing support for the organization and volunteer leaders. Core Responsibilities: Overall communications and branding, including blog writing and editing, social media content curation (Facebook & Twitter), website content management, video production, Mountaineer magazine content development and support, event support, and creation of membership emails, promotions, and communications. Works with the Board of Directors on strategic outcomes and investments. Manages Creative Manager, Communications Specialist, and Member & Data Manager (who oversees Member Services Team). Member of The Mountaineers Leadership Team. Reports to the CEO. Background: Kristina joined The Mountaineers with ten years of experience in marketing, sales, and account management. She has worked with nonprofit, volunteer-led organizations and has developed and managed large marketing campaigns for major international brands. As an extremely passionate outdoor enthusiast, Kristina is excited to join The Mountaineers to facilitate memorable outdoor experiences for adventurers of all skill levels. Kristina holds a Bachelor’s Degree in Business Marketing from the University of Washington. Outdoor Activities: Backcountry skiing, climbing, running, mountaineering, cycling, building spectacular campfires, and traveling. More: Kristina’s passion for the outdoors began at age 3 in Bozeman, Montana, where she grew up skiing in the Rocky Mountains. After moving to Seattle to attend the UW, she quickly fell in love with the lush greenery and endless outdoor pursuits available in the Pacific Northwest. 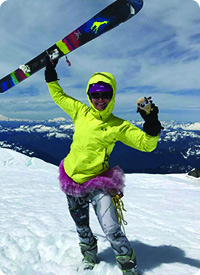 As a backcountry skier and proud Turns All Year participant, Kristina can be found on the side of a mountain somewhere chasing snow, generally in a tutu. She credits the outdoor community with continually inspiring her to try bigger and better adventures, and she is looking forward to building lifelong friendships at The Mountaineers. Kristina also loves writing and maintains a blog at www.occasionallyepic.com. As the Content & Communications Manager, Peter curates content to support strategic goals across The Mountaineers. He manages the development of Mountaineer magazine and blogs. Another key area of Peter’s job is conservation, where he writes blogs and designs engagement campaigns to build grassroots support for the wild places where we play. Peter also helps develop public relations opportunities. Core Responsibilities: Curate, write, edit, and manage content for members, volunteers, and the outdoor community online and in print. Cultivate and manage volunteer contributors and staff in the development of communication materials. Identify key messaging opportunities to increase conservation engagement. Craft conservation content including blogs, action alerts, and elearning opportunities. Provide general support for web, enewsletters, social media, and blogs. Write quarterly Retro Rewind, Conservation Currents, and other stories for Mountaineer magazine. Reports to Membership & Communications Director. Background: Peter joins The Mountaineers with a background in writing, marketing, conservation, and digital media. He loves creating content that resonates with people, particularly when its mission oriented. Prior to The Mountaineers, he’s worked on campaigns promoting clean energy, river access, recycling, tourism, and more. He holds a degree in English with an emphasis in Creative Writing from Western Washington University. Outdoor Activities: Skiing, climbing, backpacking, mountaineering, hiking, and lakeside lounging. More: Peter hails from the east side of the state, where he forged an early love for the outdoors paddling to Upper Priest Lake, skiing at Mount Spokane, and playing in the St. Joe River. As a toddler in the bow of his Dad's canoe, he dubbed waves "water mountains," and he’s enjoyed describing outdoor pursuits ever since. Lucky for him, as The Mountaineers' Communication Specialist, he gets to tell stories about nature every day. Trevor is one of the friendly voices on the phone when you call the Program Center. His goal is to support members and volunteers various technological needs and create a positive experience through good customer service. Core Responsibilities: Assists members in course and activity enrollment, supports volunteers in listing programs online, processes cancellations and refunds, onboards new members, responds to inquiries from info@mountaineers.org, and helps staff the bookstore. Background: Having grown up just outside of Seattle, Trevor moved north to attend Western Washington University and pursue a degree in Visual Journalism. He worked customer service throughout college at REI and Backcountry Essentials in Bellingham and spent the 2017-18 winter writing and taking photos for The Snowboarder’s Journal at various resorts and backcountry locations around the state. After graduating from Western, he moved back down to Seattle to continue exploring the Cascades and join The Mountaineers team. Outdoor Activities: Climbing, Splitboarding, Mountain biking, backpacking, hiking, and mountaineering. More: Adventure films are what originally gave me hope for a career in the outdoor industry, a dream based around working with projects and people that all share an excitement for the outdoors and adventure. I feel lucky to get to work in an environment that values exploration and nature as highly as I do. I personally enjoy photography, videography, and beer almost as much as my outdoor pursuits, but luckily those all pair pretty well with the adventures themselves. As the Development Manager, Tyler oversees corporate and foundation relations and helps to coordinate donor-related special events. Background: Tyler first heard of The Mountaineers while on a book and film tour, presenting his short documentary, A Field Guide to Losing Your Friends, at the Seattle Program Center. Then learning of The Mountaineers’ core values and mission, Tyler knew it was a place he wanted to work. He set to make this a reality by joining the Development Team, bringing his years of experience from other nonprofit endeavors. As for the outdoors, he’s been to fifty-four of the sixty U.S. national parks and hopes to visit the remaining six sometime soon. He’s contributed nature-based articles, interviews, and speeches to such publications as The Dirtbag Diaries, HumaNature, TEDx Teen, Backpacker, the Parks Project, Reserve America, and the Washington Trails Association. Tyler hails from Montana, but has lived in Missouri, Florida, Colorado, California, and now Washington. Core Responsibilities: Manages all work leading to single and multi-year funding from grant-making foundations, corporations, and government entities. Procures and manages in-kind donations for organization-wide initiatives and coordinates the delivery of all sponsorship benefits. Reporting to the Director of Development, Tyler works with the Development Staff and board committee members to oversee all aspects of event planning for donor related events, including planning, negotiating contracts, managing event collateral, and collaborating with corporate sponsors. Outdoor Activities: Hiking, snowshoeing, bouldering, bird and flower watching, photography, and slacklining. Katherine directs The Mountaineers’ conservation and advocacy work, envisioning and driving the organization's unique approach to public lands conservation. The Mountaineers conservation advocacy program works to protect the outdoor experience – our wild places depend on our powerful voice for conservation and responsible access. We advocate, educate and engage outdoor enthusiasts to protect our public lands. Background: Katherine considers herself one of the lucky ones, whose parents had her out enjoying public lands in Western North Carolina before she could walk. From learning to climb as a college student in Vermont, to over a decade as an instructor and program manager with Outward Bound in Colorado, North Carolina and Patagonia, Katherine has lived and worked at the intersection of conservation and recreation. She has also pursued her love of the outdoors through other means, obtaining her masters in Sustainable Development which included completing thesis work in the mountainous country of Kyrgyzstan in Central Asia. Outdoor Activities: Climbing, skiing, mountaineering and anything else that gets her outside. Elaine is one of the friendly voices on the phone when you call the Program Center. Her goal is to support members and volunteers various technological needs and create a positive experience through good customer service. Background: Elaine joined the Mountaineers staff after years of varied involvement in the outdoor world. 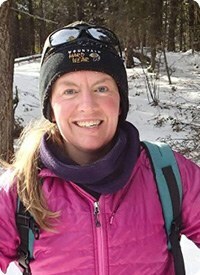 She has worked as a Naturalist Guide for EverGreen Escapes, guided backpacking trips for first-year college orientation programs, volunteered in Search and Rescue, outfitted WTA weeklong trail crews, and worked in local gear shops. 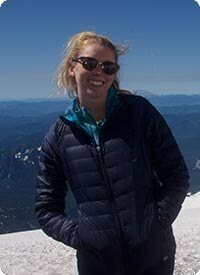 While earning her degree in Viola Performance from the University of Puget Sound, Elaine was deeply involved in outdoor trip leading and teaching other students outdoor leadership skills. Elaine is very excited to be expanding her involvement in the local adventurer community, to deepen her own appreciation of wild places, and expand her outdoor skill set through her work at the Mountaineers. Outdoor Activities: Downhill and backcountry skiing, snowshoeing, snow camping, hiking, backpacking, biking, surfing, sailing, a little climbing, and natural history. Background: Danielle has been working in the nonprofit realm since 2011, starting with a two-year AmeriCorps term. Danielle has been teaching outside since graduating college. She's taught marine biology camps, bird camps, dinosaur camps, and climbing camps to name a few - all to rad kids ranging in age 5-16. She brings all this environmental education experience to us to further enrich our camps and youth programming. She is an east coast native with a degree in elementary and special education from Salve Regina University (RI). More: Danielle has also been a ski bum, worked in Yosemite, dabbled in raptor husbandry, and picked blueberries professionally. Background: Katie has been working in the field of environmental education since 2013. She's worked at camps based on marine biology, horses, and science exploration and thinks camps are one of the best ways to provide positive outdoor experiences for youth. While hailing from California, Katie spent almost two years post-grad in New Zealand and Australia, focusing on ecotourism in Milford Sound and Byron Bay. 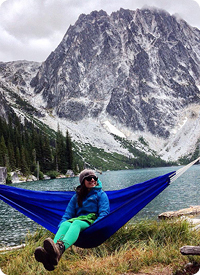 She moved to the Pacific Northwest in search of awesome outdoor adventures and delicious coffee. Katie has a degree in Anthropology and Geography and a minor in Biology from Cal Poly SLO. Core Responsibilities: Katie directs and coordinates Mountaineers Camps and Family Programs (such as the new Mini Mountaineers!) in Seattle. She directly supervises a staff of 11 during the summer and reports to the Youth Education Manager. More: Katie started her camp career at the age of five when her oldest sister started a backyard summer camp for neighbors and family friends. Katie was hired as “Snack Girl,” with the sole responsibility of bringing out Dixie cups of goldfish or pretzels, and paid five cents a snack. As the Associate Program Manager for Clubs, Carl leads the three year-round youth programs of the Mountaineers – Pioneers, Explorers and the Mountaineers Adventure Club (MAC). He serves as an advisor to the elected youth leadership council of the MAC as they plot the course of their club and works with the families of the Explorers and Pioneers programs to help foster a love of the outdoors and the skillset to enjoy them safely. He can be found leading climbing, skiing, backpacking, hiking, and kayaking trips for these programs every month of the year. Core Responsibilities: Manages the Mountaineers Adventure Club, Explorers, and Pioneers, overseeing all logistical details of various outings/trips, meetings, and skills workshops. Ensures qualified volunteer leadership is supporting all of these activities and participates directly as a leader in many of them. Reports to Youth Education Manager. 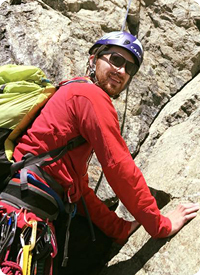 Background: Carl comes to the Mountaineers with five years of experience teaching various types of climbing to people of all ages and skill levels. 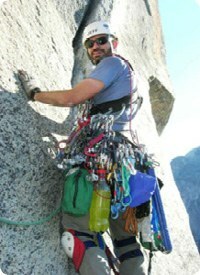 He is a graduate of the Mountaineers Basic Climbing Course (2010) and recently became a Climb Leader. 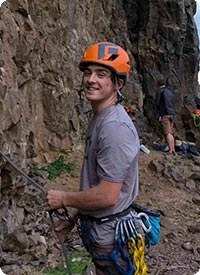 His climbing experience is complimented by a Bachelor’s Degree in Business w/ a focus in Finance and International Business from the University of Washington. Carl is overjoyed to get the chance to combine the knowledge he has gained from seven years of climbing all over the west coast with his formal studies to provide everyone who participates in the Mountaineers youth programs an opportunity for learning and growth. 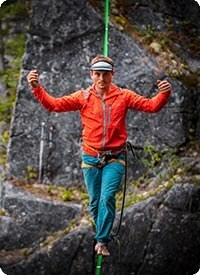 Outdoor Activities: Alpine and rock climbing, highlining, slacklining, cycling, mountaineering, and skiing. More: A native to the Pacific Northwest, Carl has been exploring the forests, mountains and cliff sides of the Cascades and Olympics since co-founding an outdoor sports club at Edmonds-Woodway Highschool. Most recently, his explorations have led him to the establishment of many highlines around Washington State. His adventures up high can be followed on Instagram. As the Development Associate, Ken is responsible for advancing The Mountaineers mission through donor recognition, gift processing, and database management. This includes implementing gift processing and donor acknowledgment, maintaining gift club benefits, tracking donor relationships, and assisting with solicitation and thank you letters. Reporting to the Assistant Director of Development, Ken partners with Bri to develop our donor stewardship and recognition programs. As the primary staff support for the Board of Directors and Advisory Council, Ken also schedules, coordinates, and organizes the Board and Advisory Council meetings, conference calls and helps onboard new Board members. Background: Ken joins The Mountaineers with 8 years of experience in the nonprofit and outdoor industries. 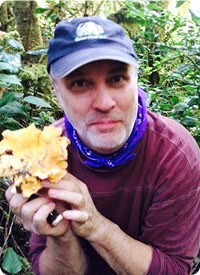 He previously worked with local environmental nonprofits advocating for increased protection of Washington’s waterways, natural areas, and iconic landscapes. 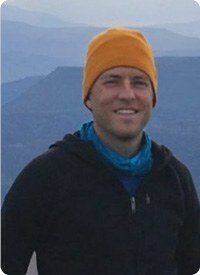 His passion for the outdoors has led him across the country, where he has served with AmeriCorps in Colorado and Cape Cod, taught at an outdoor science school in California, lead backpacking and climbing trips in the Adirondacks, and worked on fire crew with The Nature Conservancy in Georgia. He ended up in Seattle for grad school, where he holds an M.P.A. in Environmental Policy from the Evans School of Public Policy & Governance and B.S. in Economics from North Carolina State University with a focus on Environmental Economics. Outdoor Activities: Mountain biking, hiking, snowshoeing, skiing, kayaking, photography, and backpacking. More: Outside of being in the mountains or on the water, you will mostly likely find Ken with a soccer ball on his foot or basketball in his hand. Fun Fact: Ken has a twin brother. And no, they are not identical. Core Responsibilities: Aids in the creation of all outgoing communications, including Conservation Currents, Routefinder, and Branch emails. Creates, develops, and manages content for social media channels, monitoring engagement levels and general analytics. Edits and curates content for Mountaineers blogs and provides support for Mountaineers Magazine. Ensures that our membership is feeling engaged and up-to-date on events, activities, and courses by cultivating the communication channels of our Mountaineers community. Reports to the Membership and Communications Director. Background: Hailey joins The Mountaineers with a BA in international studies from the University of Washington. Her passion for conservation and the outdoors started young, and was solidified when working on a trail crew in the Olympic National Forest through the Student Conservation Association. She went on to complete an AmeriCorps service term in the City of Seattle’s Department of Neighborhoods, operating a neighborhood outreach and grant program for low-income communities before joining The Mountaineers. Outdoor Activities: Hiking, scrambling, backpacking, camping, and crashing on rented skis. More: As a native of Washington, Hailey spent her youth camping, boating, fishing, swimming, and canoeing in the Pacific Northwest. She has extensive experience crab racing and catching dogfish. Nowadays you can often find her rolling off a trail at dusk or compulsively picking up litter at the beach. As Project Manager of the new Gear Library, Hannah is working with our corporate partners to help build a comprehensive gear library. This gear will serve different youth populations in Seattle, helping them get outside and adventure! Core Responsibilities: All development and coordination of upcoming Gear Library, including working directly with Youth and Outreach Programs to create training curriculum and proper gear rental processes, helping to create e-learning modules for training the general public on proper use and care for outdoor gear, selecting and implementing a gear rental software system, working with corporate partners, and planning events pertaining to Gear Library development and launch. 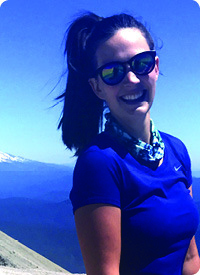 Background: Hannah is the co-founder and president of Hiking Club at UW, an organization that works to get University of Washington students outside and on the trails. 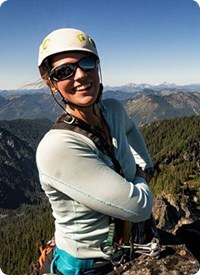 She served as an Outdoor Nation Ambassador working in conjunction with the National Park Service to lead initiatives to encourage college students to adventure in Washington state national parks. She is currently pursuing International Economics and Sales at the University of Washington. Background: Becca brings 20 years of experience in Outdoor Experiential Education to her work at The Mountaineers. She has a Master of Science in Organizational Management and Leadership from Springfield College. 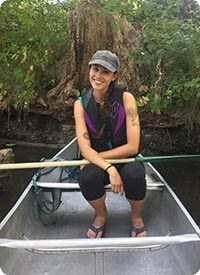 Becca is also a Leave No Trace trainer, a graduate of Outward Bound’s Wilderness Educator’s Course, and a volunteer for Paddle Trails Canoe Club. She moved to the Pacific Northwest in 2010 after almost a decade in New England. As Director of Education, Becca provides guidance and direction for Mountaineers Youth Programs as well as Volunteer Leadership Development for our adult outdoor education programs. Core Responsibilities: Provides oversight for Youth Education Programs and Adult Leadership Development Programs. Provides leadership for the Youth Education Team in driving vision, program strategy, budget strategy, and outcomes measurement for a suite of youth programs in multiple branches. Provides leadership for the Leadership Development Team in developing strategy and tactics to support volunteers in meaningful but resource-efficient ways, and to create a strong culture of outdoor leadership development among our adult programs. Works with the Board of Directors on strategic outcomes and investments. Liaisons with a variety of organizational partners including the American Alpine Club, Mazamas, Colorado Mountain Club, Appalachian Mountain Club, and Washington Trails Association. Manages: Youth Education Manager, Tacoma Program Manager, Adult Education Managers, eLearning Course Developer, Volunteer Coordinator. Reports to CEO. More: As an outdoor enthusiast, defender of public lands, astronomy and geology hobbyist, occasional tide-pooler and lover of Ponderosas, I am thrilled to be in the Pacific Northwest and honored to be a part of The Mountaineers. I am inspired by the dedication of our volunteers on a daily basis, and love being a part of the Washington non-profit and outdoor community. As the Volunteer Development Manager, Sara supports the overall leadership development and growth of The Mountaineers incredible volunteer leaders. She works collaboratively across departments to ensure that our volunteers have the best possible resources to run their programs, and she works directly with our volunteers to improve all aspects of our programming - from volunteer recruitment and retention to curriculum consistency and development. Core Responsibilities: Manages website content and email communications to volunteers and leaders, including the Leader Resources page and the monthly LeaderLines e-newsletter. Primary staff contact for the Leadership Conference, Volunteer Appreciation Dinner, and all org-wide volunteer recognition and benefits. Works with key volunteers to develop and implement ongoing leadership development opportunities, and serves as the primary liaison for the Branch Leadership Committee. Manages database reporting to identify opportunities for volunteer growth. Supports the eLearning Course Developer with content, review, and course prioritization. Manages the Volunteer Services Representative and reports to Education Director. Background: Growing up in the greater Seattle area, Sara fell in love with the mountains and waterways of Washington State. Sara joined The Mountaineers with more than 10 years of experience in the outdoor industry, having worked for a variety of non-profits around the country with a focus on outdoor adaptive recreation. Throughout all of these experiences, Sara has had the opportunity to work alongside volunteers in many different capacities, and she is excited to share her passion for the outdoors with our community of outdoor enthusiasts at The Mountaineers! 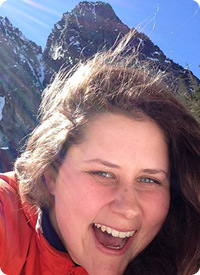 More: Sara attended Colby College in Maine, where she fell in love with skiing during the frigid winter months. In her free time, Sara enjoys skiing, backpacking, running and mountain biking with good friends - including her adventure pup, Keta! 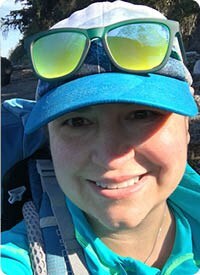 Her current PNW bucket list includes hiking the Wonderland Trail and skiing some of the area's volcanoes. Sara also volunteers as the Adaptive Lead for PSIA-NW, supporting the development of the Adaptive exam standards in the NW division. As Controller, Barbara oversees the Finance Department including financial statements, reporting, and all things numbers. She also works with payroll and Human Resources. 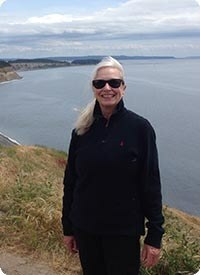 Background: Barbara joins The Mountaineers with a background in financial management for mid-size companies As a native of Seattle, she grew up boating, hiking, fishing and spending summers in the San Juan Islands. She has long aspired for a clean environment and loves working with an organization that promotes that mission. Barbara holds a degree in Business with an emphasis in Accounting from Eastern Oregon University. As the Staff Accountant at The Mountaineers Gabriela provides daily support in the exciting world of accounting operations. Gabriela overseas payables, receivables as well as payroll, which allows her to stay connected to both staff members and volunteers throughout the Mountaineers Organization. Core Responsibilities: Processing vendor invoices and volunteer reimbursement requests as well as receiving payments and deposits. Assisting in monthly closing entries, general ledger transactions and generating data during annual financial audits. Processing payroll and administrating benefits for The Mountaineers Staff. Providing accounting related support for branch treasurers and committee members as needed. Reports to Controller. Background: After graduating from the University of Washington with a BA in English, Gabriela spent 16 years at a local jewelry company as an inventory manager and customer relations specialist. After the closure of that company, Gabriela spent a year as an Accounting Assistant at a construction business in Woodinville, WA. Outdoor Activities: Hiking, camping and wild plant harvesting. The camping part is best when there is hot coffee in the morning! More: As a nature enthusiast I am delighted to be part of The Mountaineers team. It’s wonderful to work for an organization which educates and encourages people to enjoy the outdoor experience. Core Responsibilities: As a member of the fundraising team, Bri is responsible for effective stewardship of our donor audience, The Mountaineers' giving clubs, including Peak Society and Summit Society, and serves as project manager for the department's strategic communications. Reporting to the Director of Development, Bri works in partnership with Amber to share the strategic vision of The Mountaineers and work to build a culture of philanthropy within the entire organization. Manages the Development Associate. Background: Bri brings 12 years’ professional experience in non-profit development, fundraising communications, and donor stewardship. With a BS in Psychology from Seattle University, her passion for social justice and human connection grounds her in non-profit work. After starting her own business, Bri was introduced to The Mountaineers through work on the annual Gala and other contract support and fell in love with the mission and vision organization. In previous positions, Bri oversaw donor relations and fundraising events at The Museum of Pop Culture, Seattle University, and JDRF. Outdoor Activities: Backpacking, hiking, snowshoeing, fishing, camping, cycling, snowboarding, cloud watching, and meditation. More from Bri: "What inspires me the most about working with The Mountaineers is how "adventure with purpose" encompasses everything we do. The outdoor experience has played a critical role in my development and I am grateful for the lessons I continue to learn through seasonal rhythms and spending time in the natural environment. I love supporting others to get outside and witnessing the personal growth that occurs as they strengthen their connection with the earth." Core Responsibilities: Provides streamlined administrative support for volunteers, including management of The Mountaineers' recreational permitting processes, assistance with course/activity listings, and supporting the Volunteer Development Manager on database reporting to identify opportunities for volunteer growth. Part of the Education Department, reports to the Volunteer Development Manager. 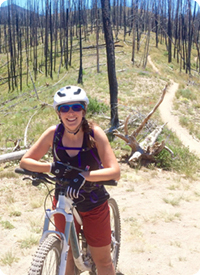 Background: Prior to The Mountaineers, Amanda’s work spanned academic research, workplace sustainability, bicycle repair, and beyond. She started climbing and mountaineering a few years ago, and graduated from the Mazamas’ Basic Climbing Education Program in 2016 while living in Portland. Amanda holds a B.S. in Rehabilitation Science and an MBA, both from the University of Pittsburgh. Outdoor Activities: Hiking, biking, fly fishing, climbing, mountaineering, birding. As our Tacoma Program Manager, Sarah is the jack of all trades for the Tacoma Branch. You’ll see her leading youth programs, managing the rental business, and supporting volunteers in any way she can. Core Responsibilities: Programming and leading all Tacoma Branch Youth Programs, including Explorers, MAC, Summer Camp, and Mountain Workshops; Managing Tacoma Program Center rental business; Managing Tacoma Program Center facility and schedule; Providing advertising/communications/website/building support for Tacoma Branch leaders and members. Reports to Education Director. Background: A UW grad with a degree in music education, Sarah has taught everything from kindergarten music to high school marching band. After seven years of teaching in local public schools, she decided to shift from teaching music to teaching outdoor skills. 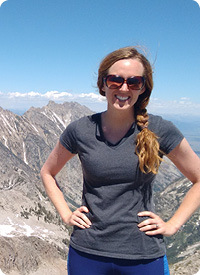 An avid hiker since her college days, Sarah’s interest in climbing was piqued after hiking the Wonderland Trail in 2010. 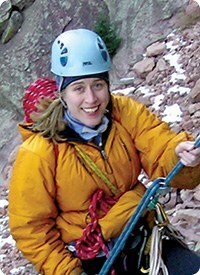 In 2012, she found The Mountaineers, completed the Basic Climbing Course, and fell in love with mountaineering. More: When she's not working or chasing after her son, Sarah is also an active Climb Leader and volunteer for The Mountaineers. She currently is working on the Leadership Development Committee, and gets super stoked about finding new and better ways to teach our students and help our leaders grow. As the Olympia Branch Youth Program Manager, Becky has her focus on building strong programs for youth specifically in the Olympia Branch. She works in conjunction with qualified volunteer leadership to ensure that all family and youth activities are well supported. Core Responsibilities: Provides programming and leadership to all of the Olympia Branch Youth Programs, including Summer Camp and Mountain Workshops. Ensures that all logistical details within the youth program is aligned. Provides advertising, communications, and website support to Olympia Branch youth leaders and members. Reports to the Youth Education Manager. Background: Growing up in the shadow of the Tetons, Becky’s enthusiastic passion for the outdoors has been a part of her life for as long as she can remember. With a BS in Sociology and an emphasis in international relations from BYU-Idaho, She joins The Mountaineers with over twelve years experience in program development and training management and has developed and directed numerous volunteer-led outdoor programs in multiple countries. She enjoys providing outdoor experiences for adventurers of all skill levels and continually encourages all to get out, explore, and protect our most beautiful places. Outdoor Activities: Mountaineering, backpacking, alpine skiing, scuba diving, traveling, cycling, rock climbing, kayaking, and wilderness watercoloring. More: The day I moved to Washington and caught the breathtaking glaciated mountains, I knew I would never leave. Every bit of the PNW speaks excitement and adventure, and raising three young girls to appreciate this is invigorating. They will push you to the top of St Helen’s, show all of the best huckleberry patches on Mt Rainier, as well as the coolest streams to soak your feet after a long days hike through the Olympics. I am honored and excited to work with the next generation of our outdoor enthusiasts by providing others a chance to explore, discover, and create memories.